TriTalk.co.uk :: View topic - Froome Cleared! Solution = grab yellow from the first day. Won't show the stains like their white kit! You joke, but it's pretty shameful on cycling "fans" that this will almost certainly actually happen. 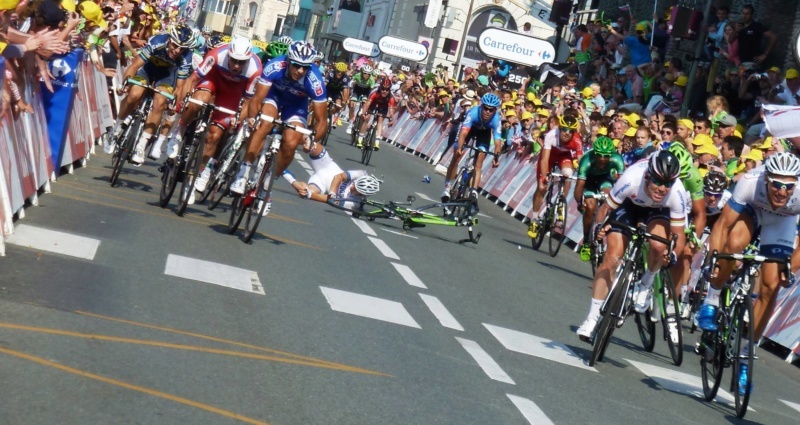 I was watching the TT out near Mont St Michel the day after Cav had been potentially at fault for the previous days closing crash into Saint Malo*. He had urine thrown at him that day. It's utterly disgusting, and whilst the giant inhaler costume during the giro was actually harmless and funny, this kind of act has no place in society, let alone elite sport. "Fitch wrote in support of Froome and previously sided with Alessandro Petacchi after he produced an abnormal reading of Salbutamol in a sample at the 2007 Giro d’Italia. The Italian sprinter ended up serving a one-year ban." After watching his performance I’m quite keen, perhaps for the first time, to follow the TdF start to finish.